If you’re in IT, make sure you join us Thursday, December 13th from 9:00-10:00 a.m. Pacific Time to get up to speed and get your questions answered about Windows 10, version 1809. We’ve assembled a group of engineers and product managers from the Windows, Window Defender ATP, System Center Configuration Manager, Microsoft Intune, Microsoft Edge, and Microsoft 365 teams—and we’ll be answering your questions live during what promises to be an exciting and informative “Ask Microsoft Anything” (AMA) event. Video (2:59) – Discusses new features to help IT Pros update process, configure intelligent solutions to secure devices, deploy and manage in new ways, all while also enabling end-users be more productive. What’s new in Microsoft Edge in the Windows 10 October 2018 Update. The Windows 10 October 2018 Update is available now, and we’re also releasing new innovations in Office 365, To-Do and Outlook.com. These updates were designed to help you make the most of your time across work, home and everywhere in between. See this article for our favorite new features in Windows & Office. What’s new in printing in Windows 10, version 1809. At Microsoft, we believe our technology should reflect the diversity of the people that use our products. We are excited to share how the Windows 10 October 2018 update delivers on that mission by giving you more accessibility features than ever before to enhance your personal computing experience. Microsoft Mechanics video (19:44) – Windows Virtual Desktop, a new remote desktop solution on Azure, learn how you can now use Windows 10 Enterprise to allow multiple users to connect concurrently, which in the past was only available on Windows Server. All this works without the need to set up or manage virtual desktop infrastructure running remote desktop services. We’ll show you steps for getting this service up and running in minutes and as you migrate to Windows 10, discover how we now allow you to continue run Windows 7 if you need to and benefit from 3 years of Extended Security Updates with Azure. Would you like to learn more about Windows Virtual Desktop? Ensuring that your organization acquires and retains the necessary language packs (LPs) and language Features on Demand (FODs) to enable employees to use their Windows 10 devices in their preferred language is a crucial part of managing corporate machines, especially when keeping them up to date with the latest Windows 10 feature updates. Today, you have three options to update a managed PC to the latest Windows 10 feature update: servicing, media upgrades, and wipe/reload. This article provides guidance for all three scenarios, and information on how to acquire language pack content once a device is up to date. At Ignite 2018, Microsoft announced support for Windows Autopilot for existing devices allows you to reimage and provision a Windows 7 device for Windows Autopilot user-driven mode. 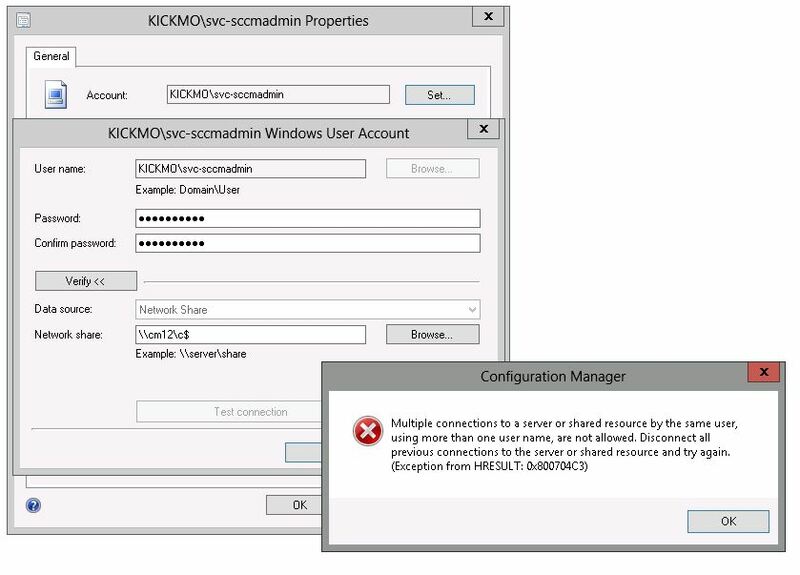 You can test this scenario now using Configuration Manager 1806 or later and Windows 10 Insider Preview Build 18252. 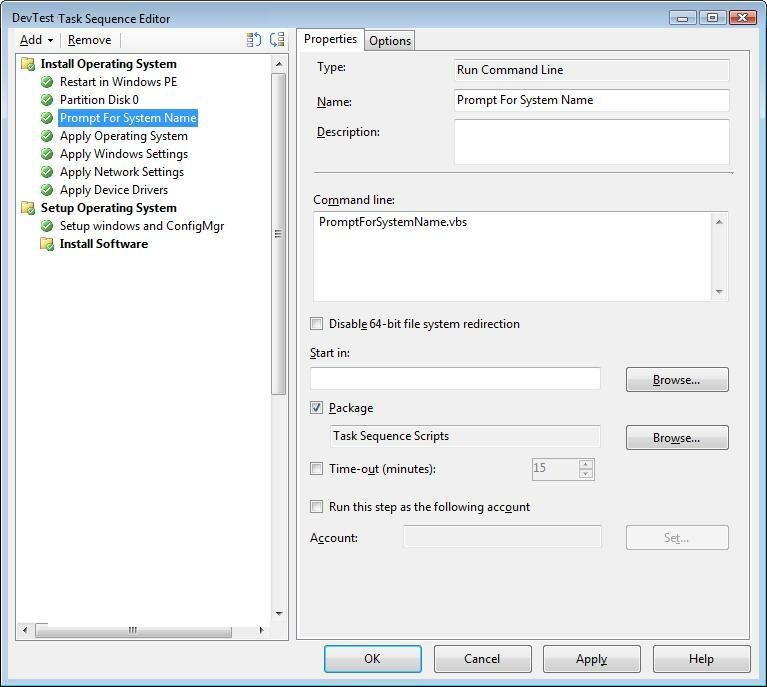 In this post, Microsoft will take you through the steps to accomplish this using a single SCCM (current branch) task sequence. Microsoft recently made a promise I’ve been hoping to make for a long time: if an app works on a previous version of Windows and, when you update to the latest version of Windows 10, it stops working, we’ll fix it for free. With Desktop App Assure, if you hit a snag in a pilot or your deployment, you have a team of application compatibility experts who will support you and get you back up and running as quickly as possible. This makes it much easier to align your testing patterns to your predicted or measured failure rates. Let’s look at some examples of what kinds of application compatibility issues can you bring to Desktop App Assure. Microsoft IT recently deployed Windows 10 to 96,000 distributed users at Microsoft. The deployment included both remote users and users on the corporate network and was completed in nine weeks. To improve on past operating system deployments, Microsoft IT deployed Windows 10 as an in-place upgrade that maintained productivity. Download the report now to see how they did it. Microsoft Mechanics now has a series of videos in their (desktop deployment essentials playlist) with steps to help in your Modern Desktop deployment process. These videos includes subjects such as device and application readiness, directory and network readiness, Office and LOB application delivery, user files and settings, considerations for security and compliance, options for deploying Windows 10, and staying up-to-date with Windows 10 and Office 365. In almost any network, Delivery Optimization can be a highly effective tool, efficiently delivering content to devices and reducing the need for more internet bandwidth. This post outlines some potential scenarios that your organization might be required to accommodate, and the options you have when configuring Delivery Optimization to help you manage bandwidth. While these scenarios may not align strictly to real-life scenarios, this case study of Microsoft’s use of Delivery Optimization provides deeper insight into using peer-to-peer update distribution on a large scale. Microsoft Mechanics video (17:48) – An end-to-end look at IT pro updates for device and app readiness for Windows 10 and Office 365 ProPlus. Lead engineer Amesh Mansukhani demos your options and offers real-world guidance for getting off older versions of Office and Windows. Includes updates to Windows Analytics with built-in Office compat, OCT integration with SCCM, how to manage updates and more. Microsoft Mechanics video (21:21) – Join Randy Wong from the OneDrive engineering team for a 15-minute introduction on new capabilities that support your shift from Windows 7 to the Windows 10 and Office 365 ProPlus modern desktop with Known Folder Move. Microsoft Mechanics video (22:16) – Watch a demonstration of what you can do with your existing process and tools while harnessing the latest updates to Systems Center Configuration Manager and co-management capabilities when cloud connected with Microsoft Intune; next-gen provisioning approaches and updates with Windows AutoPilot and how to stay current and up to date with Windows and Office as a Service. Microsoft Mechanics video (20:26) – Are you ready to deploy Windows 10 and Office 365 ProPlus using your preferred deployment tools? In this show find out what’s new, what’s changed, and learn the best practices for real-world and proven deployment recommendations for how to shift to a modern desktop. If you’re building a modern desktop to provide a more secure, productive—and enjoyable—experience for your users, you’re not alone. Learn how you can use Microsoft’s FastTrack services to accelerate your shift to a modern desktop or your efforts to stay up-to-date. FastTrack can help you in your journey to manageable, secure, and up-to-date Windows 10 devices leveraging Intune and Office 365 ProPlus. Find out how FastTrack can help you create a better plan and assist you to resolve deployment blockers based on our learnings and experiences from helping thousands of customers optimize their journey! Microsoft has changed the schema for Attack Surface Reduction (ASR) in Windows Defender ATP to make it easier for you to set up protective ASR controls and increase the cost and complexity to any adversary who may be trying to target you! In this post, Chris Jackson shows how to apply the new schema to the existing queries from his previous blog, to get a feel for how that would work on any queries you may have written or want to write. Windows Defender Antivirus has hit a new milestone: it can now run within a sandbox. With this new development, WDAV becomes the first complete antivirus solution to have this capability and continues to lead the industry in raising the bar for security. Read more about “why sandbox, and why now?”, implementation of the WDAV sandbox, and innovations looking ahead. Security baseline (DRAFT) for Windows 10 v1809 and Windows Server 2019. The Security Update Validation Program (SUVP) is a quality assurance testing program for Microsoft security updates. The SUVP provides early access to Microsoft security updates—up to three weeks in advance of the official release—for the purpose of validation and interoperability testing. The program encompasses any Microsoft products for which we fix a vulnerability (e.g. Windows, Office, Exchange, or SQL Server) and is limited to trusted customers under NDA who have been nominated by a Microsoft representative. Windows 10 Tip: Update your tasks using ink. Windows on YouTube video (0:52) – Learning Tools for Microsoft Edge. New built in tools that help improve learning. Windows on YouTube videos – Your Phone app connects your Android phone to your Windows 10 computer, so you have all of your incoming notifications in one spot. Get your texts and most recent photos right on your computer, then drag and drop your photos anywhere you need them. Windows on YouTube video (0:40) – Introducing Timeline for Phone. Pick up your phone and go back in time to past activities with the Microsoft Launcher app. Microsoft Mechanics video (15:28) – Watch to see Office desktop and mobile app updates for AI, teamwork, creativity, and accessibility plus new end-user capabilities to help with productivity and working on the go in Windows 10 1803 and RS5. Jack Elmore takes on the challenge of demoing the latest Office and Windows client updates in 10 minutes. Can he do it? New Surface devices, along with new innovations in Windows and Office 365, offer more performance and productivity across your whole life. Today we are proud to share four new Surface products with the world. Products built for people. Meet Surface Pro 6, Surface Laptop 2, Surface Studio 2 and Surface Headphones. Video (0:36) – Why become a Windows Insider? Microsoft Mechanics video (17:06) – A tour of the latest security and compliance updates for Microsoft 365. Starting with defense in depth security capabilities across identity, data, devices and applications, including the latest in passwordless authentication, information protection and advanced threat protection. As well as improvements to assessing and managing your security and compliance posture across Microsoft 365 with Microsoft Secure Score, Compliance Manager, Advanced eDiscovery and more. Take steps to secure your business and users with our security business assessment. The Microsoft Security Assessment can help you discover where you are vulnerable and provide personalized recommendations to improve your security posture. Microsoft security experts collaborated to create a personalized Cybersecurity Assessment covering more than 20 security points in 4 key Cybersecurity categories with the purpose of helping you pinpoint strengths and weaknesses in your Cybersecurity efforts. After completing the form, you’ll receive a report with guidance to strengthen your security as well as access to additional guides and resources. Infographic: Top 10 security deployment actions with Microsoft 365. Take these actions to strengthen security across your users, devices, apps, and data. Introducing the Windows Internals Series: One Windows Kernel. Windows 10 IoT delivers innovation and intelligence at the edge with the October 2018 Update.